During the winter, you and your family rely heavily on your heating system. At your commercial property, your heater is integral to the productivity and profitability of your business. At Steele Mechanical, LLC Air Conditioning and Heating, our heating contractors are here to ensure that your home comfort system operates in the most efficient and effective manner when you need it with prompt and reliable heating repairs in New Jersey. When you hire our professional heating contractors, you can feel confident knowing that you chose the best HVAC contractors for the task. In every service that we provide, you and your family's comfort and satisfaction is our first priority. We are honored by the trust that each of our clients have in our skills and services. We work our hardest to provide for your each and every need. Call Steele Mechanical, LLC Air Conditioning and Heating today if you need help maintaining or repairing your heating system in New Jersey. Our courteous and polite staff would be happy to assist you in any way that we can. We can schedule your service call today. The most common reason that heating systems break down during the winter is that the owner failed to conduct routine and adequate maintenance. Your heater is a complex machine with many moving parts. If you fail to routinely repair it, your heater will eventually fail to operate efficiently or will shut down entirely. 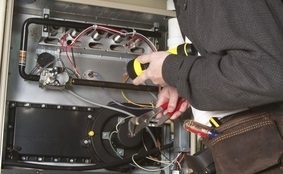 Our professionals specialize in these routine heating maintenance and repair services. Even with routine tune-ups, mechanical parts of your heater will become worn out and degraded. Our heating repair contractors can troubleshoot these problem areas for you to determine the precise issue. We can then repair or replace the part quickly and easily. Outside of the system itself, another major reason that heaters fail to perform properly is a thermostat malfunction. Our New Jersey heating repair technicians can inspect your thermostat to determine if it is the cause of your lack of comfort. After our service have been completed, warmth will be restored to your property, and you and your family will be completely satisfied. 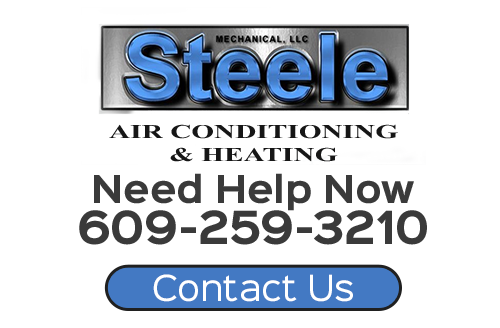 At Steele Mechanical, LLC Air Conditioning and Heating, we believe that every New Jersey family deserves to have a fully functional heating and comfort system in their home at all times. If your heater breaks down in the middle of the night, you and your family are robbed of the warmth and security that you expect and deserve within your home. Our New Jersey heating services team is available to assist you at any time, day or night. We will respond quickly to your call, will arrive at your home as soon as possible, and will work tirelessly to restore comfort to your property. All the while, our technicians will still provide you with the highest quality services. Afterwards, you can rest assured knowing that your heating system is in the best condition possible. If you need heating repairs in New Jersey, please call 609-259-3210 or complete our online request form.